Includes "The Seven Year Kill" by Mickey Spillane. Also includes a pictorial of Anita Ekberg. Interior art by Norman Baer, Jack Davis, Frank McCarthy and Bill Wenzel. Includes "Deadbone" comic by Vaughn Bode. 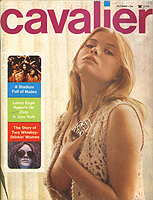 Includes "Deadbone" comic by Vaughn Bode and an interview with Sal Mineo. Includes "Deadbone Erotica" comic by Vaughn Bode. Also includes a rare interview with Vaughn Bode. Includes an interview with Kellie Everts and comics by Otis Sweat. Includes an interview with Debbie Harry and an article on Rhonda Jo Petty. Includes "Battleground" by Stephen King. 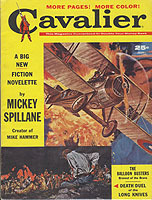 Includes fiction by Mort Castle.